Building a brand is important for any company, and especially for family businesses. Our new research shows that a strong brand based on family identity can reduce and contain the unique forces that threaten to pull a family firm in different directions. This is true not only for family companies in business-to-consumer (B2C) sectors—fashion and luxury in particular—but also for a surprisingly large number in business-to-business (B2B) areas. Building a strong family brand is not a quick public relations exercise. It's a big strategic move, and it takes time. But the potential rewards are big. Positioning a company as a family business has an impact on all three dimensions of such firms—family, ownership and business. A powerful brand strengthens the identity of a family in business and reflects a vision to grow the business sustainably in the future. More family firms could take advantage of its potential. Family businesses are inherently complex. They must deal with—and align the interests of—three different dimensions: family, ownership and business (or "FOB"). The FOB model can be drawn as three overlapping circles, which introduce boundaries and clarify different roles. In the founding generation, the family, ownership and business circles overlap. But the potential for conflicts of interest increases over generations, as the family and the business expand. This creates centrifugal forces on all three circles, pulling them further apart (see diagram). - Family growth over time leads to a greater range of personalities and needs. If badly managed, this will weaken family identity and bonds. - Business growth will lead management to put pressure on the owning family not to withdraw more cash from the company, and even to inject capital to finance further expansion. Big global firms are complex to operate, requiring the owner's control and governance structures to adapt. The all-important task for owning families is to recognize this—predictable—evolution and to fully grasp its potential impact on the future of the family business. 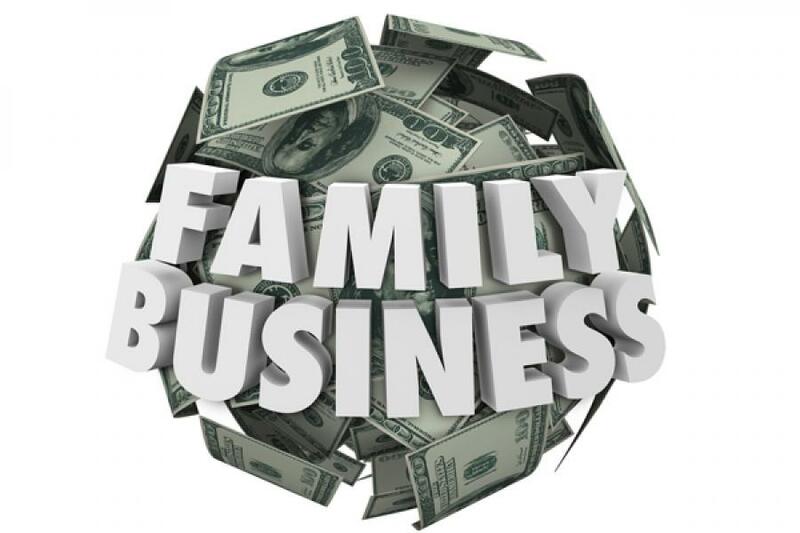 The good news is that business-owning families can reduce and contain these negative centrifugal forces. One of the best ways to do so is by developing a strong family business brand identity, which is based on the family's own identity and heritage, and then managing it strategically. In our research we were struck by the large number of successful family businesses with strong brands. These include Patek Philippe, the Swiss luxury watchmaker, and Ayala Corporation, a family-controlled conglomerate based in the Philippines that won the 2014 IMD-Lombard Odier Global Family Business Award. The family name is unique, and if managed well it can be a centripetal force, or "the glue that keeps everything together" across the three FOB dimensions. A powerful family business brand strengthens the family's identity, culture and sense of belonging across generations. It reduces the risk of ownership dilution by reinforcing the ownership identity and commitment to shared goals. And it supports the company's strategic long-term positioning and differentiation from its competitors. Many family businesses are naturally inclined to "stay under the radar," and there are good reasons for preserving the value of privacy. However, non-communication is no longer an option in today's media landscape, since this approach creates a vacuum that the media might fill in their own way. In our research we found very few examples of families in business that are systematically assessing how to derive strength from their identity. Few families discuss their beliefs, values, entrepreneurial heritage and future vision and convey these to the external world. Rather, the discussion happens reactively, for example during and after a PR crisis. We also learned that working on the family business brand and positioning is a long process, often spanning a number of years. Strong family leadership is needed to foster a dialogue within the family—and between generations that may have different views. A family business brand is more than just a brand. And it stands for more than just the foundation or history of a business. It ultimately represents a force that helps capture business and financial wealth, addresses the broader needs of current and future generations, and counteracts the centrifugal forces that family businesses are exposed to over time. Joachim Schwass is Professor Emeritus of Family Business and Entrepreneurship at IMD, and founder of the IMD Global Family Business Center. Anne-Catrin Glemser is Family Business Research and Development Manager at IMD. They are writing a book on family identity that will be published later in 2015 and will include the full results of the research mentioned above.